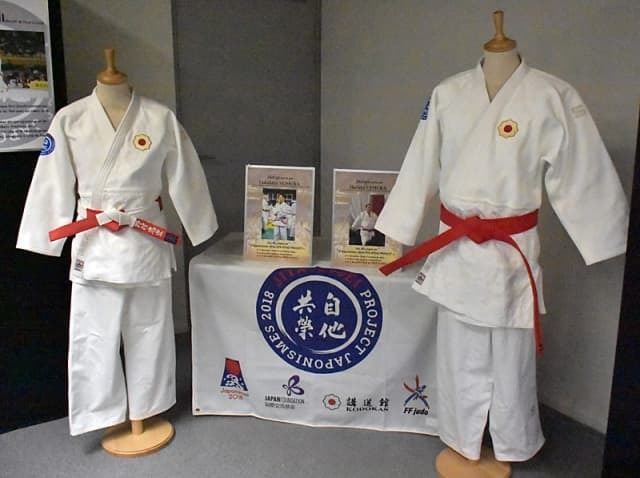 The Kodokan Judo Institute (Kodokan) represents the origin of Judo that was started by Kano Jigoro Shihan (professor) in 1882 and that has spread in about 200 countries and regions in the world. Kodokan was present at the Paris Grand Slam to display judo as a part of Japanese culture. 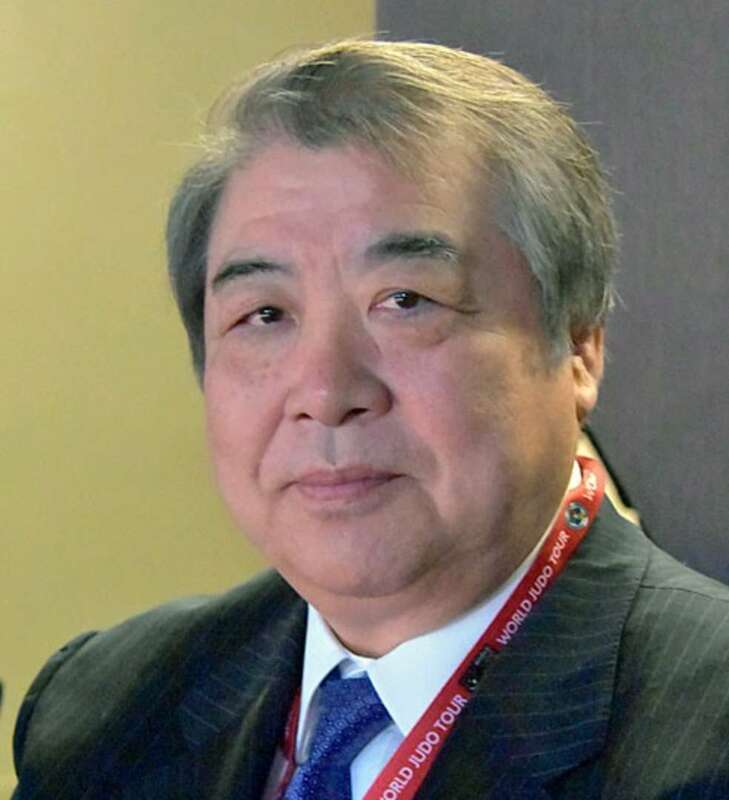 IJF Media had a chat with Kodokan President, Mr. Haruki Uemura, and the Director of the Kodokan Museum, Mr. Murata Naoki. Indeed, on the occasion of this Grand Slam, the Organizing Committee also celebrates the 160th anniversary of the relationship between France and Japan. This celebration was very noticeable with the Kodokan exhibition in the competition venue. The exhibition is called Japonism, a terminology which often refers to the incorporation of either iconography or concepts of Japanese art into European art and design. Sport is a universal language and is therefore a great tool. “After the industrial revolution, working class people could spend more time on leisure. So, sport became a way of relaxing and spending one’s free time. Hence, the purpose of sport is enjoyment. However, judo is more than a sport. It’s a lifestyle. Japanese people will not pretend judo is only sport. It’s much more. So, if we as Japanese are confronted with the nomination of judo as a sport, we always find it a little bit strange. But indeed, globally, judo is a big sport and also one of the main events in the Olympic Games. With Japonism, we want to show the world that judo is more than a sport. We want to stress also the other aspects that are entangled with judo,” stated de Museum Director. “With this modest exhibition we try to explain what judo is and how it is intertwined with Japanese culture,” said Murata Naoki. 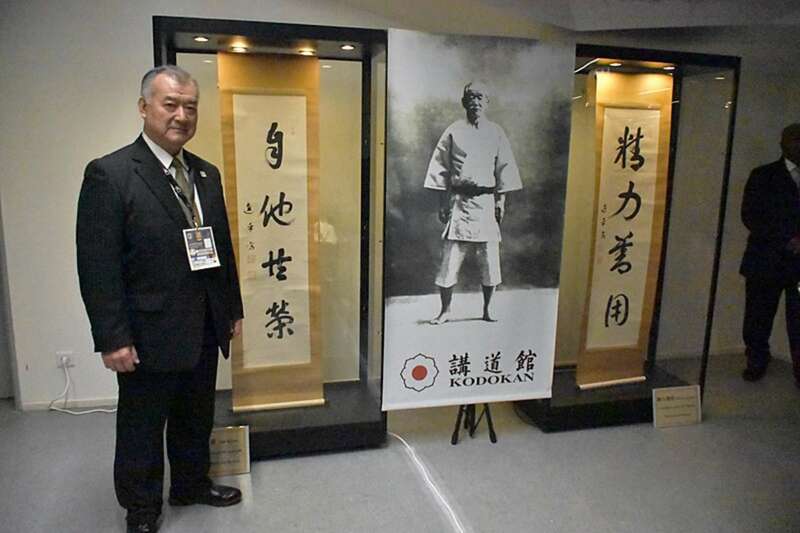 Besides a video explaining the history of judo, in a second room the Director of the Kodokan Museum showcased four important and unique artifacts of the museum which are valuable pieces of its collection. There is a rule written by the founding father of judo Jigoro Kano, i.e. a draft of Randori-no-kata. Jigoro Kano founded the Kodokan on June 5th, 1882. It says that the Randori-no-kata (form of techniques for practice) which consists of 15 Naga-waza (throwing techniques) and the same amount of Katame-waza (ground techniques) was established around 1884. Basic movements of judo. Jigoro Kano studied two styles of Ju Jitsu: the Tenjin Shinyo-ryu and the Kito-ryu. The first one was founded in the early 19th century by Iso Masatari and provided great inspiration to Kano when founding the Kodokan Judo. 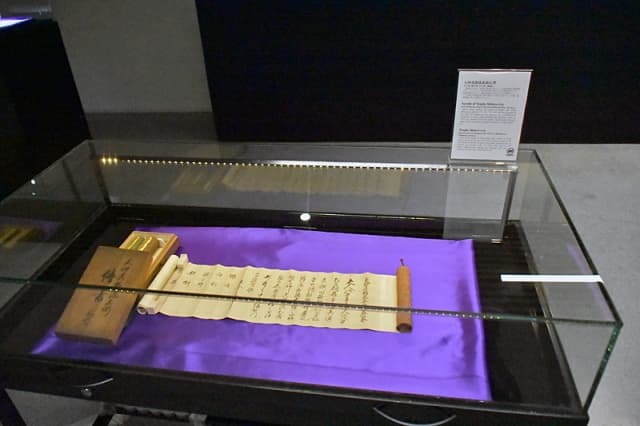 In 1879, he received from his master Hachinosuke Fukuda these scrolls which are a symbol of license of Tenjin Shinyo-ryu. The third exhibit item consists of a Katana (long sword), a Wakizashi (short sword) and a Tanto (dagger) which were used by the Samurai. In ancient times Samurai learned four skills, i.e. archery, horse-riding, sword fighting and of course martial arts. Interesting to know is that in 1909 Jigoro Kano became the first Asian member of the International Olympic Committee. His ideas of wellness of body and mind for the youth was a message well accepted by Pierre de Coubertin.